Tomorrowland is an upcoming Hollywood science-fiction mysteriously adventurous movie, based on a fictitious future land. A special device is a bridge between current time and fictitious Tomorrowland. The story moves when the central characters of story got this special device. Tomorrowland is directed by Bra Bird, written by Brad Bird and Damon Lindelof. The movie is produced by Brad Bird, Damon Lindelof and Jeffrey Chernov. 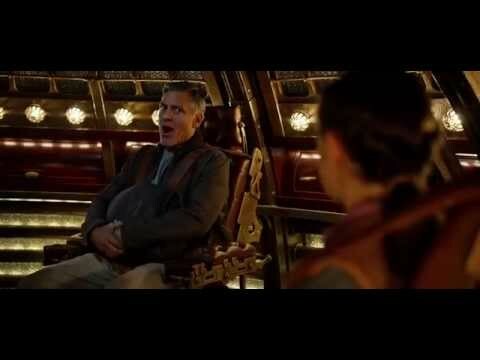 Tomorrowland is starring George Clooney, Britt Robertson, Hugh Laurie, Raffey Cassidy, Tim McGraw, Kathryn Hahn and Keegan-Michael Key in main leads. Tomorrowland movie release date is May 22, 2015. Frank, a former boy genius and Casey, a bright-optimistic teen travels to a place somewhere in time and space, only known as Tomorrowland. As common in every world, their actions are directly affecting this amazing world and their life too.